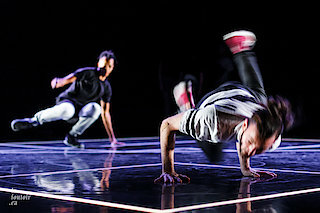 Link(s) unveils an abstract, experimental universe, where urban and contemporary dance converge. 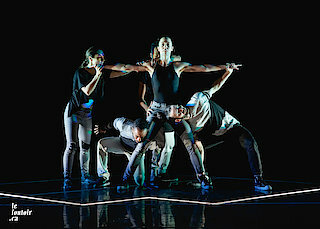 Five performers bring the boundless possibilities of the body to attention, highlighting the physical, emotional and artistic marks that inevitably shape bodies and minds. The audience is caught in a tangle of emotions, identities and bodies that collide, shatter, merge. The enclosed space pushes the multiplicity of identities to the fore, vulnerable and powerful, confident and bashful, guileful and gullible. Everything hinges on the perception of oneself and of the other.